You can’t win them all. 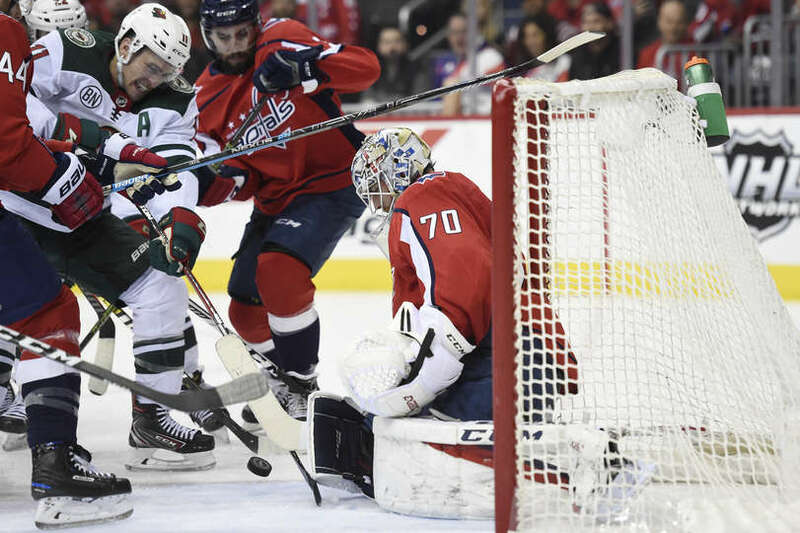 After having a great game against the Tampa Bay Lightning, the Washington Capitals put up a dud against the Minnesota Wild. But it’s important to remember the Caps were playing their third game in four nights, which is always tough, especially when considering the Lightning game felt like two games after they fired off nearly 60 shots that game. The interesting thing according to MoneyPuck that both teams basically deserved what they go at 5v5. The Wild deserved their two goals and the Caps deserved their one. The biggest issue for the Caps was their top six didn’t do much of anything. It was the bottom six, specifically the third line, that was great. And that shows in the numbers as well. Andre Burakovsky had an amazing game. He’s actually been fantastic for the last month or two now. He stepped up for Carl Hagelin who was ill. It was also a great game for Christian Djoos, but when doesn’t he look good? He continually makes the case he should never be out of the lineup. It’s a shame it took an injury for him to get out of the press box. But other than those guys everyone else got run over. Matt Niskanen specifically had a terrible game. He got walked around twice leading to two great chances and he also made the turnover in the neutral zone that led to the Wild’s game winning goal. It’s a game he’ll want to forget. But really it’s a game everyone will want to forget. You can’t expect the Caps to play amazing every night. They’ve been playing really well since the All Star break so I think we can give them a break here. The filthy Flyers are next and the Caps will probably want to get back in the win column. This entry was posted in News and tagged Brett Connolly, Luke Adomanis, Minnesota Wild, Washington Capitals. Bookmark the permalink.